The Asian Pacific Democratic Club (APDC) has been gathering reports about widespread voter fraud in buildings owned or connected to the Chinatown Community Development Corporation (CCDC). In recent days, APDC has encountered multiple statements of stolen ballots from Chinese senior residents. In one instance, a blind woman reported her ballot was taken away and filled out by two female individuals. Those two individuals then told the senior that they had voted for “Aaron Peskin” on her ballot. “Senior citizens in these CCDC non-profit buildings are having their ballots stolen. These seniors are supposed to be protected by their caregivers but instead ballots are being harvested from them on a building-wide scale,” said Tom A. Hsieh, a spokesman of the club, which has been chartered since 1992. Hsieh is referring to a statement made by CCDC that “individuals came into CCDC buildings pretending to be CCDC employees and asked for ballots”. CCDC buildings are guarded by locked entrances and security personnel and entry by non-residents is unlikely. One senior voter said that every year someone has come to his door to fill out his ballot, and that his ballot was taken in the last three years by the same person. He also stated that this was practiced throughout the whole building, which is managed by CCDC. In another incident, an elderly woman said two women came to her door, asked her to sign a ballot return envelope, and then took her ballot away. She said two women were returning to her building each day to collect ballots from others. The property, known as Chinatown’s Orangeland building, has a long history with CCDC. Three buildings managed by or with ties to CCDC have had reports of voter fraud. APDC has evidence that a CCDC-owned building called Broadway Sansome Apartments allowed the Aaron Peskin for Supervisor campaign into the building in late September in apparent violation to their tax-exempt, non-profit rules against candidate electioneering. “This illegal behavior is despicable. We are turning over our evidence to appropriate enforcement agencies in the hopes that they can stop this blatant violation of one our most basic freedoms—our right to vote,” said Hsieh. Back in March, KRON-TV Studios at 1001 Van Ness hit the market asking $25 million. The 25,000 square foot property has now sold for a reported $26 million to a new developer, Oryx Partners, that plans to redevelop the site into new housing. The studio lot is zoned for up to 200 housing units and plans are to create a mid-rise complex after demolishing the current structure. The developer was attracted to the site’s location because it is a block away from the new $2 billion California Pacific Medical Center that will soon rise on the site of the old Cathedral Hill/Jack Tar Hotel. Much of the action around Van Ness in the past few weeks has focused on the section around mid-Market, but Central Van Ness is also a new housing hotspot. The Marlow at 1800 Van Ness was wildly popular and other upcoming developments in the area include 1533 Pine Street, 1285 Sutter and a proposed condo building at 1688 Pine. KRON will move its studios down to a smaller space on Front Street by the end of this year. Bay Area ranks as the best commercial real estate market in the country, again! The report demonstrates the tight relationship between jobs and real estate, pointing to deals like Salesforce.com leasing 714,000 square feet in an office tower under construction. 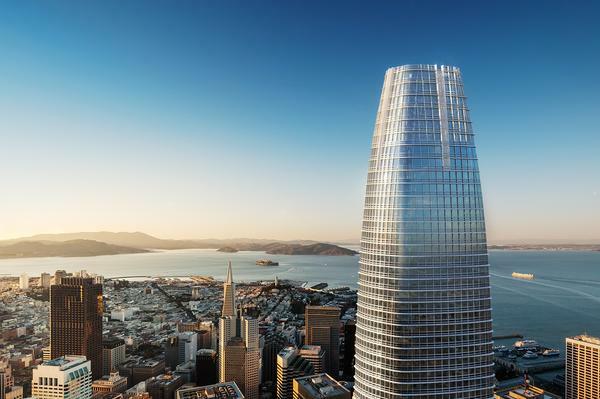 That tower will eventually house thousands of jobs, many of them yet to be created, and Salesforce is just one of numerous tech companies expanding in the Bay Area. Some industries like financial services are shrinking like in the case of San Francisco-based Charles Schwab & Co. deciding to move 1,000 jobs out of San Francisco to places like Colorado and Texas. Fortunately, the technology sector is growing much faster than other sectors are retreating. Tech is booming in San Francisco, but the Bay Area’s true tech capital is still Silicon Valley. Technology firms have not abandoned the suburbs. Job growth in Silicon Valley remains exceptionally strong. … Technology firms employ about 270,000 workers in the San Jose metropolitan area, which includes Santa Clara and San Benito counties. Total tech employment in the San Jose metropolitan area is 73.4 percent higher than the number employed in the San Francisco metropolitan division. Still, many tech workers prefer to live elsewhere. Household employment growth has risen more slowly in South Bay, however, climbing just 3.3 percent over the past year, which implies a significant number of workers are commuting into Silicon Valley from San Francisco, Oakland and other neighboring areas. Jobs and housing are great here, but transportation connects it all together. You can debate high-speed rail all you want, but turns out strong commuter systems boost the entire region. A major modernization program is now under way, which will extend service to the Transbay Transit Center being developed in San Francisco’s booming SoMa area and move from diesel-electric locomotives to overhead-electric powered trains by 2019. The growth of the system, which will more firmly connect the major hubs of the Bay’s tech sector, the San Francisco and San Jose airports, and many of the region’s key sports and cultural venues, has become a major driver of residential and commercial development. Everybody loves a growing economy. Well, not everybody. Growth comes with repercussions. With employment and population growth exceeding expectations, worries are beginning to surface that the latest boom is showing signs of overheating. Explosive growth in the Bay Area’s creative industries is beginning to crowd out activity in parts of the financial and professional services sector. The boom has also sparked a backlash by some individuals tied to slower growing and lower paying parts of the economy. Home prices, apartment rents and office rents have also increased dramatically, which has significantly increased the cost of living and doing business in the Bay Area. Despite these developments, we still expect the Bay Area to outperform the nation. While costs have increased dramatically over the past year, so has the quality of life. If any region would be familiar with tech booms and busts, it should be the Bay Area. So when is our bust coming, if at all? Economists expect this cycle to have a smoother landing that the first tech boom. 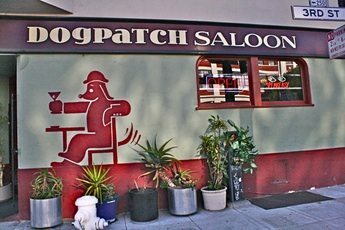 The dependence on technology has raised concerns about the vulnerability of the Bay Area’s economy to another dot com crash. The prospect has gained increased attention in recent months, which have seen a number of extremely highly valued acquisitions of tech startups and a few disappointing IPOs. While every boom must eventually end, traditional valuation measures are much different than they were during the run-up during the tech bubble in the late 1990s. The Golden State Warriors have abandoned their plan to build an arena on Piers 30-32 just south of the Bay Bridge and instead have purchased a site in Mission Bay to hold their new 18,000-seat venue, sources close to the deal have confirmed to The Chronicle. The Warriors bought the 12-acre site fromSalesforce.com for an undisclosed amount in a deal that was inked Saturday night. The team plans to have the arena ready for the 2018-19 NBA season. The shift in location provides the team with predictability, fewer regulatory hurdles and eliminates the need for any voter approval. It should also assuage the project’s most vocal critics, who opposed building a 120-foot high arena on Piers 30-32 over concerns about traffic, environmental impacts during construction and blocked views of the Bay Bridge. The Mission Bay site, where Salesforce originally planned to locate its corporate campus, will have a planned waterfront park across from the arena, has a Muni T-Third stop right in front of it, and already has two adjacent parking garages that can hold a combined 2,130 cars. When the Central Subway opens – projected for 2018, the year the Warriors plan to open the arena – the line will provide essentially a straight shot to the Powell Street Muni/BART station downtown. The Warriors will own the site outright, rather than leasing it from the Port of San Francisco, and say the arena will be entirely privately financed – perhaps the first sports venue of its kind in the country that uses no taxpayer funds or public land. The new site does not, however, have the stunning views of the Bay Bridge, instead looking out onto a dry dock, an industrial pier and the rusting old pilings that dot the water. We need everyone’s help to flight for property ownership rights by collecting signatures on No Anti-Property Ownership Petition. The developer of the massive master-planned Bay Meadows project in San Mateo has unveiled the design for a community commons it is calling a “social street,” that it expects will become a regional hot spot of action-filled spaces ranging from a beer garden and bocce ball court to a bandshell for events and entertainment. Just like shoppers who may window-shop at different retail stores in a mall, those living, working and visiting the San Mateo development will be able to walk Delaware Street and check out the diversity of “park rooms,” said Kevin Conger, principal at San Francisco-based CMG Landscape Architecture, which is creating a comprehensive network of streetscapes at Bay Meadows that connect nearby public transit, homes and other mixed uses to sustainably designed open spaces. Bay Meadows unveiled Delaware’s “social street” concept and renderings, which were not previously detailed in the burgeoning community’s plan, late last week. This street, with its traditional town square, will be a pedestrian-focused social hub of the likes of San Francisco’s chic Hayes Valley neighborhood or San Jose’s upscale Santana Row. As envisioned, Delaware will also augment the future retail environment at Bay Meadows. “If we can invite enough people [to Delaware] … I think the retail will come,” Conger said. Along one side of this street, five office buildings will add to the area’s vibrancy. 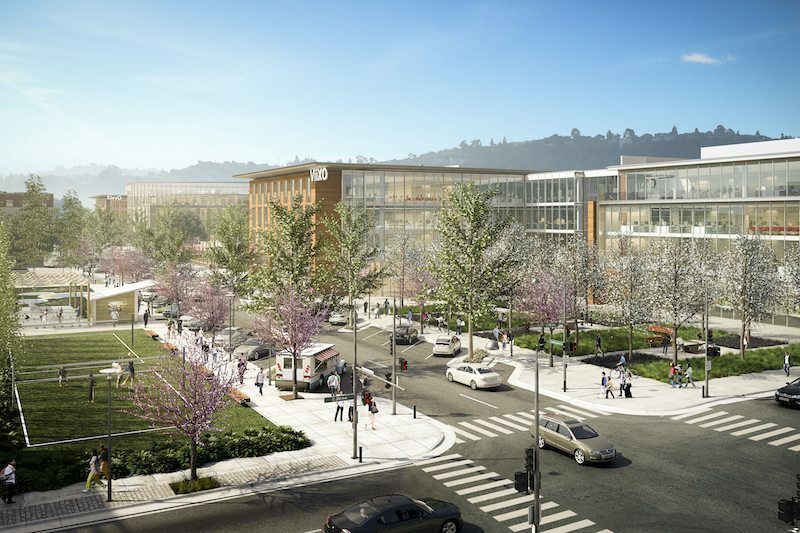 For instance, the buildings will feature a long street frontage that can host retail uses, said Paul Woolford, director of design at HOK, a global architecture, engineering and planning firm that is part of the Bay Meadows project team. A large courtyard park will also house retail, he said. “Some buildings will have arcades so people can walk through them,” Woolford added. Moreover, building lobbies will feature large pivoting glass doors that when open “can erase the boundaries” between outdoor and indoor spaces. So a party or presentation happening outside can spill into the lobby or vice versa. No timeframe was given as to when construction of the social street would begin and finish, but development of Bay Meadows is expected to last the next three to four years. Bay Meadows, once the site of an airfield and later a horse-racing track, is now being developed as a thriving, downtown-style urban village to include more than 1,100 units of housing, 1.5 million square feet of office space, 15 acres of parks, bicycle paths and hiking trails. The Nueva School, a nationally recognized independent institution serving gifted students, will also open its campus in Bay Meadows this fall. Bay Meadows has eight planned residential neighborhoods, and the first ones that have gone on sale are communities by TRI Pointe Homes and Shea Homes. So far, more than 100 of the 156 already constructed homes have been sold with families moving in. More than 100 apartment units are also under way. San Francisco-based Avant Housing, a joint venture of AGI Capital Group and TMG Partners together with the California Public Employees Retirement System, is planning to file permits for a 259-unit apartment development in the Dog Patch district of San Francisco. An official name for the project has not been determined at this time. “We are planning to file our approvals for the development in May. Our expectation is that the project will likely be started sometime in the late third quarter of this year”, says Eric Tao, development principal with Avant Housing. He declined to comment on the total development cost of the project. He did say that the overall cost of the project has increased by 30 percent over the past 12 months. The site for the development covers half of a city block. It is located between 3rdStreet, 23rd Street and Tennessee Street. The site’s official address is listed as 1201 Tennessee Street. The location of the project now includes an old warehouse and a gas station. These facilities will be torn down for the project. CalPERS will be investing equity into the project and there will be traditional construction financing involved in the development. The expectation is that it will take 18 to 22 months to complete the project from start to finish. One of the unique features in the project will be what Avant is calling flex space units. “This is to be for live/work units. This could be a situation for people who have design firms, are artists or young entrepreneurs who are trying to start their own business and want to be where they live and work in a single location. These units are designed first as apartments, and we pay schools fees for them just like any other apartment unit. We think that these people are being priced out of San Francisco with the high cost of both housing and office space,” said Tao. This will be the second time these kinds of units have been planned by Avant. “We first started this idea in our projects at 5th and Folsom in San Francisco that we are developing for Essex Property Trust. We have eight units planned there and they will be available for the first time this summer. At this point we are not sure how they will be received. We thought we would make it part of the design in another project,” said Tao. This kind of housing will make up from six to 10 units for the project on Tennessee Street. The new development will also have an affordable housing component, which will be around 16 percent of the project. The remainder of the units will be market-rate housing. The Lennar development slated for Hunters Point now has the name The San Francisco Shipyard, and some pricing scales recently hit the Curbed inbox. Based on current market rates, prices are set to begin in the low $500,000s for one bedrooms, and the high $500,000s for two bedroom homes. If all goes according to plan, the first 247 market rate and affordable units will be ready for move-ins by this fall with an additional 3,000 units coming in the next five years. Now that the project got its recent approvals and the 49ers have officially vacated, things are moving along quickly.